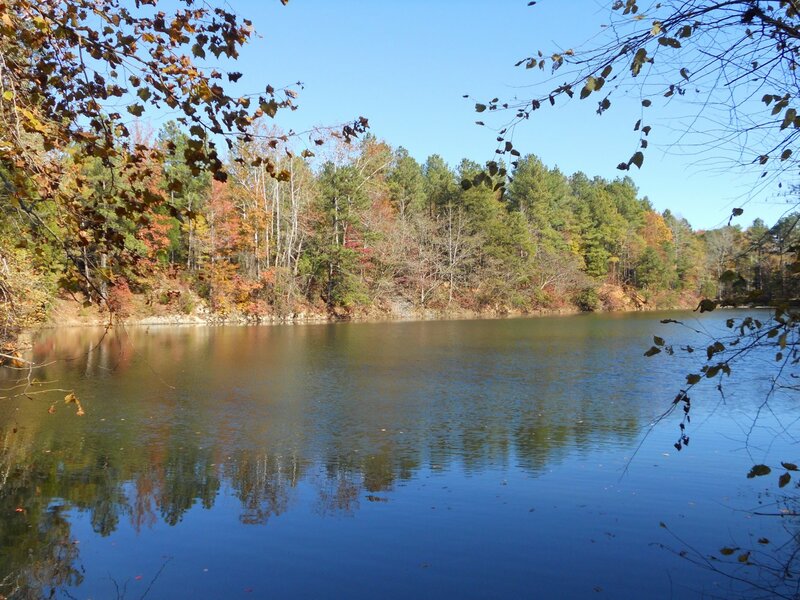 The Eno River Association secured a critical 1.9-acre conservation and trail easement on the Eno River at Pleasant Green Road on December 28. The project is a vital link in the future course of the North Carolina Mountains-to-Sea Trail, fills an unprotected gap along the river, and brings the organization’s 50TH Anniversary year to a fitting and celebratory close. The Association will donate the permanent easement, which protects over 500 feet of river frontage, to the State of North Carolina to manage as part of Eno River State Park and the NC Mountains-to-Sea Trail. Duke Energy, the Eno River Association, the Friends of the NC Mountains-to-Sea Trail, and Great Outdoor Provision Co. funded the acquisition. As a result of the project, four miles of trail will be added to the park’s existing trail system and the MST. The new section will connect the Pleasant Green access area with the Few’s Ford access at Cole Mill Road. Future plans for the site include constructing a footbridge over the river to remove hikers from the adjoining highway bridge, improving safety for park users. Protecting the property also provides benefits to water quality and wildlife. Over a half million people and businesses rely on the Eno for clean water, according to Kim Livingston, Director of Conservation for the Eno River Association. Livingston, who led the project, also points out the river’s importance to wildlife. “Fish are the most obvious inhabitants of the Eno, but it’s also home to several species of rare and endangered mussels”. The Eno River is designated as a Nationally Significant Natural Heritage Area. “We couldn’t be more excited to have protected this land and appreciate the enthusiasm property owners Beth and Tandy McConnell had for the MST and the project,” says Robin Jacobs, Executive Director for the Association. “We will be celebrating with the whole community at our annual New Year’s Day Hike.” The Eno River Association will hold its 47th New Year’s Day hike at Few’s Ford in Eno River State Park on Sunday, January 1 at 2pm. The annual hike was the first organized New Year’s Day hike in the nation, starting a tradition now followed at many local, state and national parks around the county. The Eno event now attracts hundreds of outdoor enthusiasts for a communal walk in the woods. The Eno River Association works with public agencies and private landowners to protect critical land, water, wildlife, farms and forests. The nonprofit was instrumental in creating Eno River State Park, West Point on the Eno Durham City Park, Occoneechee Mountain State Natural Area, Penny’s Bend Nature Preserve, and Little River Regional Park. In addition to expanding local parklands, the Association works with willing landowners who want to conserve their property. The Association has protected more than 7,075 acres in Durham and Orange counties.